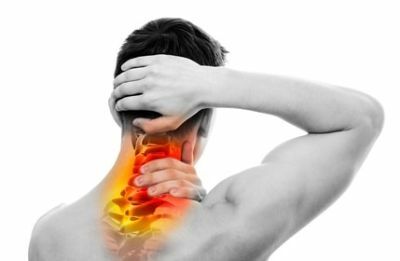 If you are suffering with neck pain, allow us to help and guide you with our expert advice. Neck pain is a very common condition. The causes can sometimes be obvious such as a bad fall or car accident, although for many people it is a gradual build up of poor posture, texting and modern life! The most common symptoms of neck pain apart from a pain in your neck are stiffness, aching (usually in the evening), soreness and dizziness. The area that the pain spreads to can be into the arm, shoulder blade, mid back and can cause other symptoms such as numbness or tingling. When the joints of the neck are not able to function properly this dysfunction affects how the body can operate and has an impact on the nerves exiting from the lower part of the spinal cord. This means the nerve is more prone to irritation, which often results in pain and discomfort in the neck and can cause a referral of pain into the shoulder blades and arms..
By working to improve the function of the spine and reduce the interference in the nervous system it can allow your body the best opportunity to heal and remove the symptoms caused by the misalignment. The term “whiplash type injury” is used to describe any injury mechanism where there is sudden excessive extension followed by an immediate excessive flexion of the neck that results in damage to the muscles, ligaments and tendons. This means whiplash can result after a traumatic event, not just a car accident. I have had patients who have suffered with whiplash after a sudden fall, a blow to the head and during sport such as football, rugby or martial arts. Many times this forceful event creates a misalignment in the neck or other affected areas. Following a thorough examination your Chiropractor will discuss the treatment options best suited for you. The most effective change you can make is to ensure your head rest is in the correct position for you. Raise the head rest so the centre is slightly above the ear and the top is above or level with the top of your head. Position the head rest as close as possible to your head. Adjust your seat so it is in a relatively upright position. Read my blog post about driving position. So what’s the difference between these terms. Not a great deal, all of these terms refer to a degenerative process that is affecting the joints in the spine and it is also used to describe degeneration within the disc as well. Once the degeneration within the spine has occurred nothing can be done to reverse this. Like a machine that has parts that are starting to wear, proper maintenance reduces the strain and will allow them to work better for longer. That is why when we see patients with spondylosis our primary concern is to improve the function of the joints of the spine to reduce the impact that the degeneration is having. Is degeneration an age issue? Not entirely. We are all subject to wear and tear, our bodies will try to repair the damage that occurs on a daily basis. Sometimes this is not able to happen and so damage can accumulate over time. When people suffer from spondylosis and they have had an x-ray, there are usually 1-2 segments of the spine affected. If it was purely an age related issue then surely more, if not all of the joints of the spine would be affected. So what is causing those areas of the spine to degenerate quicker than the rest? At Chiropractic Works, your chiropractor will go through your medical history give you a thorough chiropractic examination and discuss the findings and the best options available for you. Chiropractic Works focuses on correcting the imbalances in the spine and removing the interference that it causes in the nervous system.